And now its my turn to provide you with times to reach each landmark and then the location of these marks. 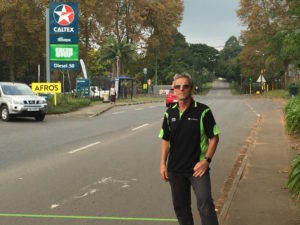 The first pacing point does not want a photo as we will be running through that point in the dark, and similarly the Pinetown cut off is obvious as you run through the underpass mid way through the Pinetown (non) flats, (at least its an overall drop. 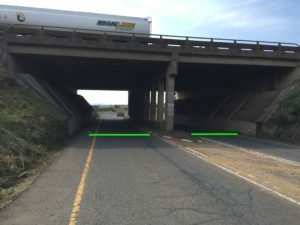 Likewise the Bridge for the N3 is clear followed by the (very walkable) climb to the N3 for the final stretch home. 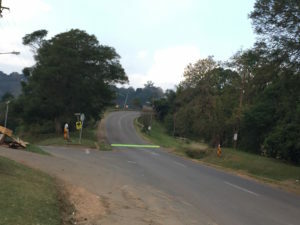 This is Lion Park – the first Bridge that goes over the Comrades route (and after a very slow and often steep climb). 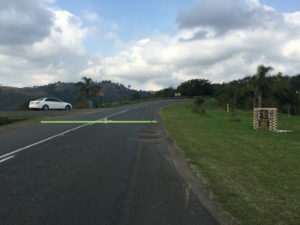 This first section is the second slowest of the whole down run – notice how little difference in pace getting to the Ridge Road traffic lights (the 9th set from the start) — a minute too fast there is almost 30 minutes too fast(and suicide) at the finish!! Notice the climb on this section to the Mats at Drummond Half way – which it sis not!!! – The real half way is around the corner after the very steep climb past Arthur Seat … the time is given for half way … Remember the Drummond to Botha’s Hill is the TOUGHEST section of the down run — go easy !! 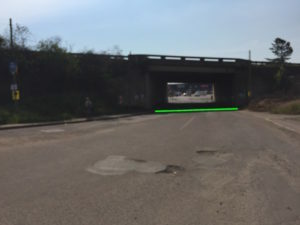 This is the rail bridge in Botha Village and there is a steep climb on the other side of about 400m to the clapping and encouragement of the Kearsney College pupils… Then the quad jarring down to the foot of Botha’s Hill.. BUT its not over — don’t dare to forget the 1.2km climb (one of the steepest at parts) into Hillcrest and the crowds !!! 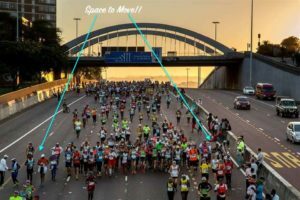 this year there is an extra climb as we use the viaduct, and i have given a 4km to go time – BUT and This is a BIG BUT… the final 4km are flat so you have to be careful to measure your energy — run and walk is the order of the day … even if it is run 4 lamp posts, walk 2 lamp posts …. 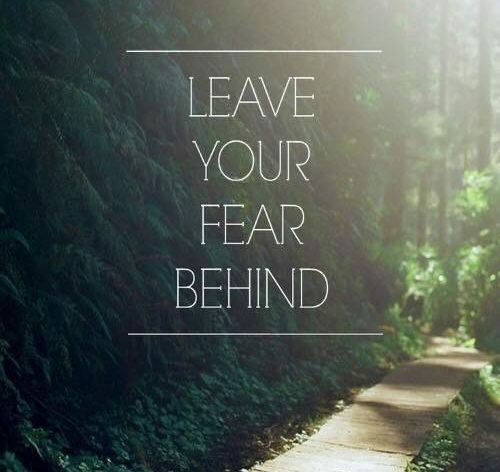 Just GET THERE….. 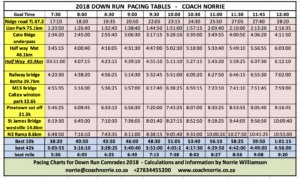 This chart was produced taking all the hills and downs into consideration and allows for either a constant run or a run and walk approach… its about even EFFORT – DO NOT use minutes per km as a means of trying to hit these times. Rather use the times as a guide and work between two target times…. say 09:30 and 10:00 — make sure you don’t arrive faster than the 09:30 time and not slower / but closer to the 10:00 time. As the race proceeds you can step up, but it is Always better to be slightly slow than fast!!! COMRADES – NOTHING NEW AND NOTHING TO BE FEARED BY DISTANCE OR VENUE.